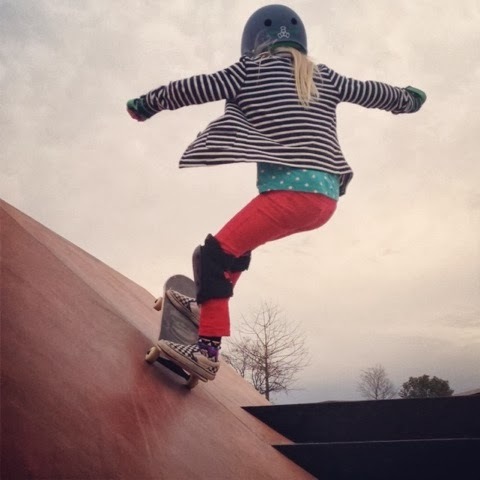 Girl is NOT a 4 Letter Word: Skate x Style Icon. Kendra. Skate x Style Icon. Kendra. 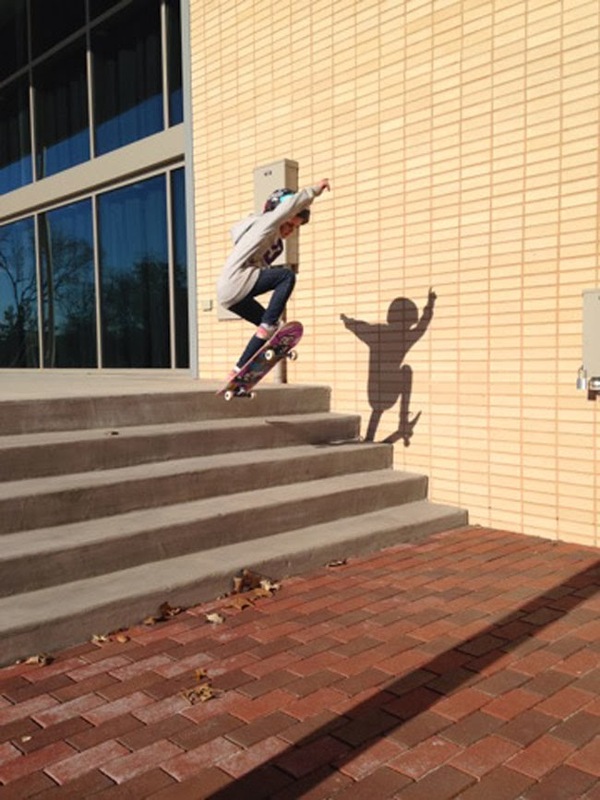 When we met 8 year old Kendra on instagram, we knew she was an awesome skater. 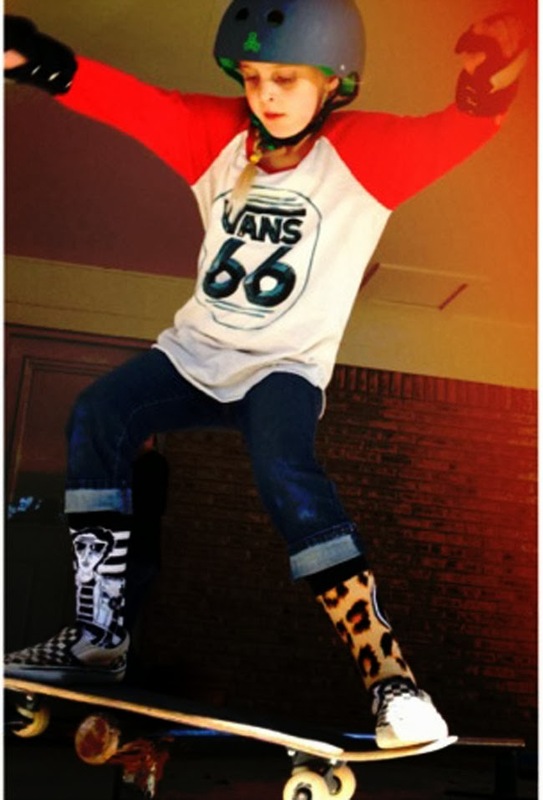 When we started looking closely at her posts, we also realized that the girl has seriously rad style! 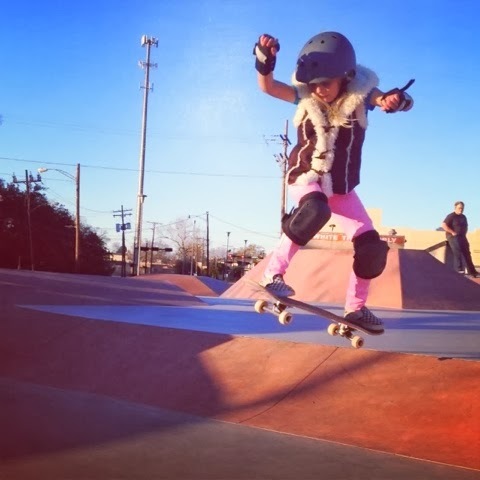 From unmatched socks, and stripes paired with polka dots, to faux fur vests, Kendra is changing the way people think about how "skater girls" look. And she's doing it with unparallelled style. I pretty much wake up and jump over to her page to see what she has posted - that's how obsessed I am with the way she puts things together and makes the look all her own. 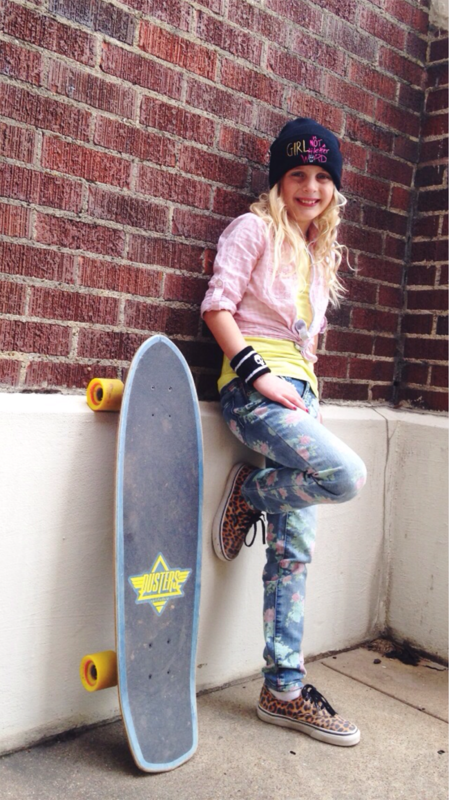 You may just want to follow her at @seekendraskate - because her skating and outfit choices will inspire you daily.